Scientific-engineering line "constructive geography" suggested by LP. 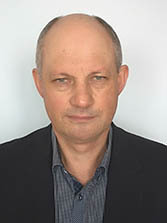 Gerassimov has involved the development of theory and methods of ecological and engineering geomorphology. "Constructive geography" and "constructive geomorphology" may serve as consolidating notion for different researches in the field "human and environment". Author suggests and investigates the new in the earth's sciences problem of arid plains destruction due to hostilities and dirt roads exploitation. The history of such man-made changes since the early bronze age are discussed. In the evolution of war and road destruction there are calm (peace) periods and catastrophic (war) ones. The impact of hostilities on the natural environment and relief of arid plains is enormous. The significant natural instability and vulnerability are incident to arid plains: no linear disruption does happen without consequences. Up to 17 active exogenic processes may take part in the development of linear destruction. Their integral effect may result in the formation of anthropogenic plains or in the creation of dissected relief. The analysis of morphology and inner structure of Baer's hills in the Lover Volga region and its delta helps to conclude that they arose on the bottom of the "sheet flow". The direction of the laminae within the rock mass of the hills indicates the main direction of the flow being from NE to SW. When water level decreased they emerged over water surface. Sometimes the upper parts of hills or its slopes were being erosed, but on the whole they have persisted. Different types of hills may be distinguished by the character of the bedding. Eolian landforms on the right bank of the Volga are the result of washout of clays in the interhills depressions and deflation of the underlying alluvial-marine sands. Certain improvements were made in the nomenclative base of ecological geomorphology with special attention to the concept of "ecological zoning". Such definitions as "geomorphologically hazardous territories", "sanitation-chemical conditions of relief and others are put forth. Geodynamics of the region during Late Pleistocene-Holocene and kinematics of major morphostructural faults are under consideration. Structural-geomorphologic analysis and paleoseismological data has shown that the evolution of the Tunkin system of basins is not unidirectional. Prevailing since Miocene regime of strike-slip movements accompanied by tension, normal faults and intense sedimentation in the Late Quaternary moved to regime of strike-sleep with compression. The evidence of such change one may see in the uplift of west Tunkin basins and in the Late Pleistocene-Holocene thrust-shift deformations in the Tunkin and Mondin faults. The evaluation is given to longitudinal and transversal displacements of free meanders at the different stages of evolution and on conditions of different flow of river and flood plain's height. The expressions for the velocity of meandering channel displacement in relation to multiannual flow changes were obtained for different stages of evolution. The length and location of washout front of concave bank of meander correlates with multiannual flow changes. Average rate of abrasion material supplied over the last 20 years in north part of Taganrog bay reaches 7600 m'/year per 1 km of the bank, and loss of land is 0.6 m/year. The southern beach of bay retreats by 1.5-1.7 m/year, the volume of sediments supplied reaches 13000 m3/year. These values correspond to years characterized by strong heave. In the large cities territory accomplishment the gullies and balkas should be efficiently used as recreation zones. Construction of no kind is acceptable on the former gullied areas, even if they are filled with made ground, since animation of washout and land subsidence is possible. There are numerous examples of recreation use of gullied land in Moscow and in the other towns; some concrete examples are described. The gullies monitoring is needed when there is possibility of new erosion activity.